Charlene began her writing life at an early age, often penning stories where she cast herself as the heroine. It was after college when she dug out her old college typewriter and started her first novel, which came from a spirited dream she’d had the pervious night. While that book never sold, her second novel did. Tender Touch became a Golden Heart finalist and earned her an agent who signed the book, and two others, in a three book contract with Kensington Publishing. Kensington went onto publish five of Charlene’s western historical romances: Taming Jenna (1994); Tender Touch (1994 Golden Heart Finalist); Forever Mine (1996 Romantic Times Magazine Reviewer’s Choice Award Nominee and Affaire de Coeur Reader/Writer Poll finalist); To Have and To Hold (1997); and as Rachel Summers, The Scent of Roses (1999). Charlene took a break from publishing, but not from writing. A Kiss and A Dare is Charlene’s first paranormal romance. 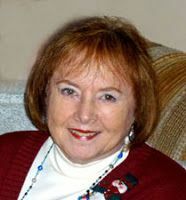 Divine Gamble is Charlene’s latest work and won first place in the western historical category of the 2010 Romance Through The Ages contest. 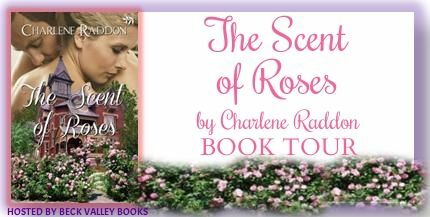 When Charlene isn’t writing, she loves to travel, do genealogy, digital scrapbooking and dyes eggs in the Ukrainian style. And she enjoys camping and fishing with her husband in the Utah wilderness. After the collapse of his mine, Whip Kincaid returns home to find that his business partner, Josiah Bullock, has been murdered. When Whip is discovered holding the murder weapon, he is forced to go into hiding to escape the hangman’s noose. Further complicating matters, Rosalyn Delaney arrived in town the same day claiming to be Josiah’s wife. Unfortunately, Josiah’s widow, Lucinda, believes herself to be his legal wife, and therefore his heir. This sequel to To Have and To Hold works well as a stand-alone novel. 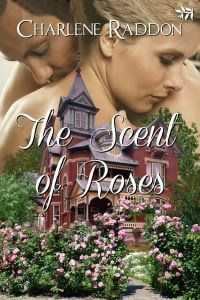 The Western setting and Rosalyn’s background combine to create a rich, exciting historical romance. I received this book from Beck Valley Books book bloggers program to read and review. I was not required to write a positive review. The opinions I have expressed are my own. I am disclosing this in accordance with the Federal Trade Commission’s 16 CFR, Part 55. This entry was posted in Uncategorized on September 1, 2013 by theselftaughtcook. I’ve already added this one to my tbr list, sounds like a nice winter read. Thank you for hosting me today and for reading my book. I really appreciate your time and trouble. I am still following your tour and by the sound of these review, your book is doing really well. I am so happy for you because it is a great book. Keep up the good work!!! Thanks, Gail. I appreciate your loyalty more than I can say. Today is the last day of the tour so keep tuned for the giveaway.